OG Kush and Quimiotipo CBD were crossed to create a new variety in CBD Crew collection. 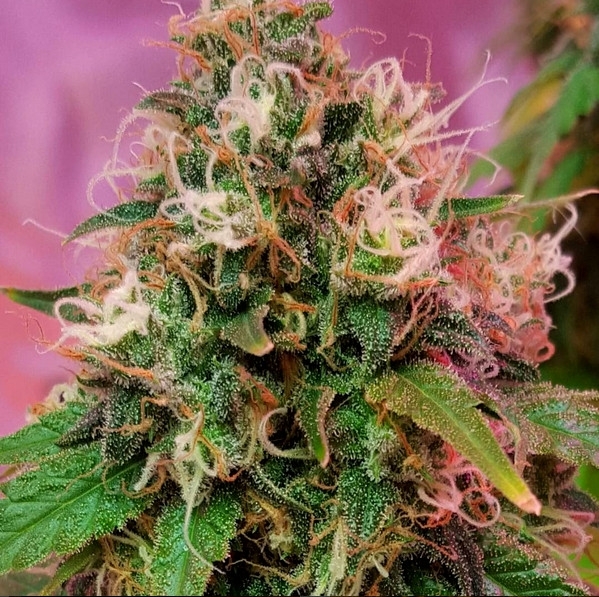 The result CBD OG Kush is a mostly indica hybrid with potent effect and high medical value. It contains 75% indica and 25% sativa genetics. The strain provides extremely high CBD content of 8-10 % while THC is about 6-8 %. So the THC to CBD ratio is about from 1:2 to 1:5. The plant is easy to grow. Is is harvested after 8-9 weeks of the flowering and brings decent yields of 500-600 gr. It is ideal for indoors because the strain doesn't have big stretching. The smoke brings flowery, earthy fruity aromas and tastes.